Studied: AIC; ASL; Bavarian Royal Acad. Art, Munich, Germany; Hans Hofmann in Munich, 1921 (Hofmann"s first American student). Comments: An influential abstract painter in oils, acrylics, tempera. Between 1931-33, he produced abstract NYC scenes; and constructions from 1936-39. His students included Rauschenberg, Twombly, Bourgeois, Rosenquist, and Tony Smith. He also painted on Monhegan Island, ME. Positions: jury member for: Pepsi-Cola Nat. Art Competition, 1948; Nat. Exhib. Art, MMA, 1950. 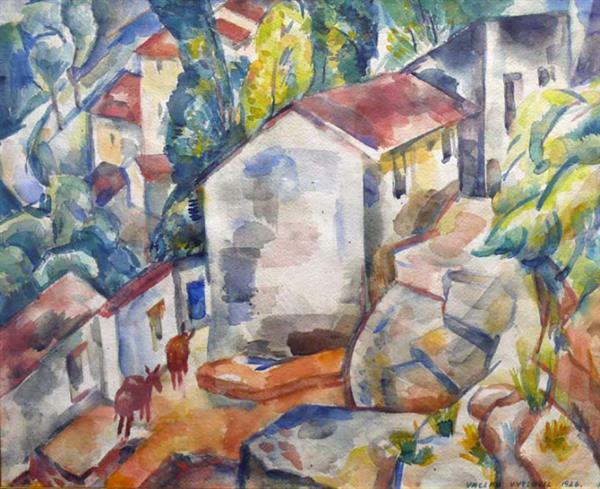 Teaching: Minneapolis School Art, 1917-21; Hans Hofmann summer school, Capri, Italy, 1924; artist-in-residence, Univ. Calif., Berkeley, 1928-29; Calif. College Arts & Crafts, summers 1936-37; chmn. dept. art, Queen's College, 1942-45; Colorado Springs Fine Art Center, 1951-53; Univ. Georgia, 1968; Florence Cane School Art and Dalton School, NYC, 1940; ASL, NYC, 1935-on. Co-author: Egg Tempera Painting (Oxford Univ. Press). Sources: WW73; WW40; Curtis, Curtis, and Lieberman, 121, 187; American Abstract Art, 201; Diamond, Thirty-Five American Modernists; Falk, Exh. Record Series.